Smoke is an excellent food preservative that has been in use for much of human history. Smoke from hardwoods like hickory and oak has both the ability to flavor meat and to create a barrier to bacteria that might cause the meat to spoil. Smoking is still a valuable tool, though modern smoking has more to do with flavor than with preservation. There are two main ways to smoke meat—hot smoking and cold smoking. Hot smoking is what barbecue chefs do with standard grills and smokers. Cold smoking is a little trickier. Cold smoking involves smoking meat at the lowest temperatures possible, the trickiness comes from ensuring that the meat gets an adequate amount of smoke while also maintaining the low temperature. A cold smoker is a smoker designed for this type of smoking. Meat that is cold smoked is usually cured beforehand. Curing involves drawing moisture out of the meat. When you cold smoke, the exterior of the meat is not hardened the way it is in hot smoking. The smoke is able to penetrate it further than it would if heat were applied. In order to cold smoke meat successfully, it is important to keep its temperature between 68 degrees Fahrenheit and 87 degrees. In order to do this, it is necessary to keep the source of heat separate from the smoking chamber. The key is to avoid cooking the meat as this would limit the ability of the smoke to preserve it. What should you look for in a cold smoker? The thing to look for is the smoker’s ability to keep the smoking chamber cool. Note that there are smokers advertised as being perfect for cold smoking, but that actually get well above the 68 to 87-degree range mentioned above. It is possible to keep the temperature cool in a number of ways, but it is most commonly done by using an offset smoker. This means that the part of the smoker with the wood (the firebox) will be completely separate from the part with the food. 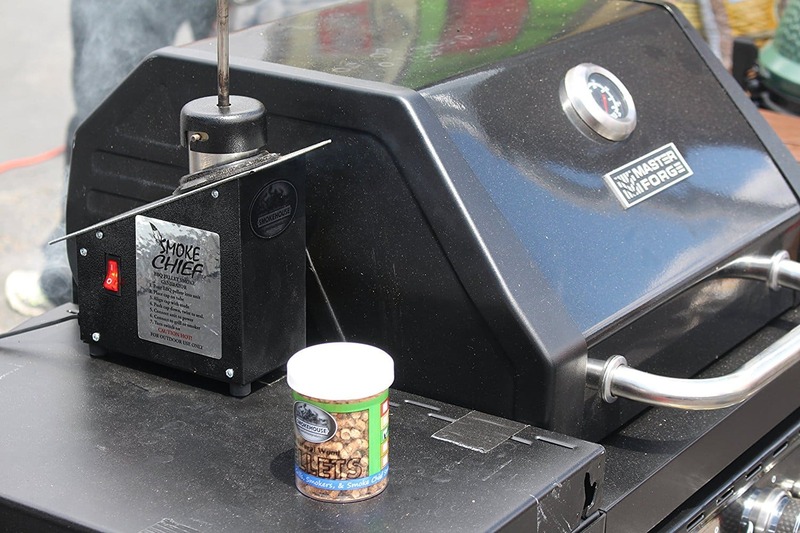 When shopping for an offset smoker, look for one with a firebox made of heavy gauge metal and that is properly sealed to ensure good heat retention. Keep in mind that even under ideal circumstances, it will still be difficult to keep your temperature in the right range using an offset smoker. Another way that you can cold smoke meat is to use electricity. 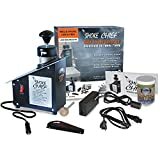 There are electric smokers and various electrical gadgets that can be used to turn an existing smoker or even an old refrigerator into a cold smoker. In many cases, these devices use wood pellets or sawdust rather than wood chips or chunks. When choosing one of these electric smoking tools, pay attention to how much work must be done to make them useful. They often require tools and skill to implement properly. At present, there are not many smokers on the market that are ideal for both cold and hot smoking. The closest you will come is the standard barbecue grill with an offset smoker. How does a cold smoker compare to a regular smoker? A regular smoker is supposed to provide a low level of constant heat, which means that heat retention is very important. Conversely, a cold smoker is not supposed to get hot at all. Because heat retention in the smoking chamber is not all that important, you have options when it comes to materials for cold smokers that would simply be unfeasible for hot smokers. For example, one popular DIY cold smoker is made from cardboard.